Which Milk is Best for Kids? Choosing a milk or milk substitute can be complicated. What is best for kids? Is soy milk better than cow’s milk? Is 2 percent better than skim? Akron Children’s Hospital dietitian Danielle Dimengo says there are no simple answers, but she helps navigate the array of choices. 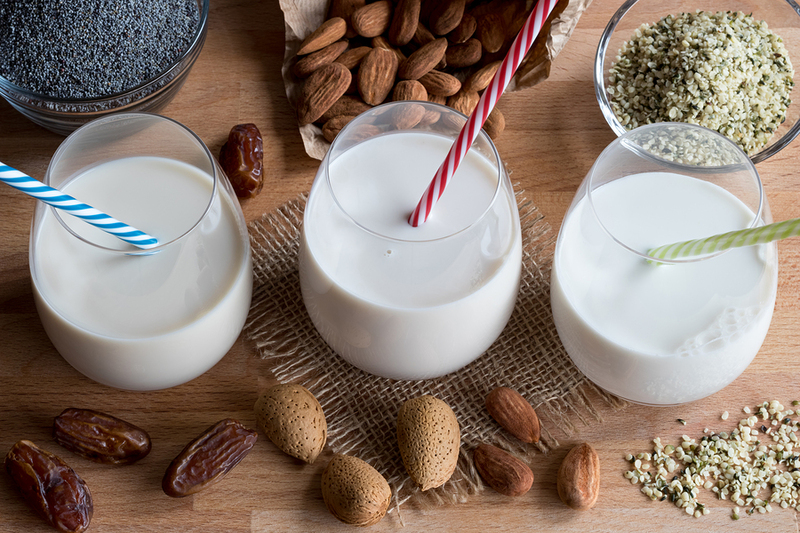 Plant-based milk substitutes such as almond, soy, rice and coconut milk have grown in popularity. Is cow’s milk still best nutritionally for young children? What about older kids? It’s difficult to say that one milk trumps all other milks. It depends on the circumstance and the child. If the child has a cow’s milk allergy or intolerance, then it is very appropriate to provide a plant-based alternative. Younger children need the extra fat for brain development and protein for growth, so soy or coconut milk would be more appropriate than almond or rice milk. Is there a downside to cow’s milk? Is there a nutritional reason to switch to a plant-based milk substitute? There is not a downside to cow’s milk unless, of course, you have an allergy or intolerance to it. That would be the only reason to switch to a plant-based milk. If you go with cow’s milk, is it best to give children whole milk, 2 percent or skim? It depends on the age. Whole milk is recommended for ages 1-2. After that, it’s appropriate to switch to a lower fat milk. The plant-based products all have a different nutritional profile. Which is best suited for children? It is individualized. The majority of them are fortified with calcium, vitamin D and B vitamins; some are lower in protein than others (rice and almond milk are the lowest). Some, such as hemp and flaxseed milk, are fortified with omega-3 fatty acids. Harlan Spector is a Northeast Ohio writer, editor and communications consultant. He formerly was a reporter and editor for The Plain Dealer, where he covered health and medicine for more than a decade. Visit inside.akronchildrens.org for more information and health news.